The city-state has proposed new trading rules after last year’s painful penny-stock crash. Plans include an independent body to vet listings, minimum trading prices, collateral requirements, and disclosure of short positions. Mostly, it looks like playing catch-up with Hong Kong. Singapore proposed new measures to strengthen the country’s stock market on Feb. 7 following a high profile crash in penny-stocks last year. The proposals, jointly issued by the Monetary Authority of Singapore (MAS) and Singapore Exchange (SGX), include imposing a minimum trading price for stocks of around $0.10-$0.20; introducing a collateral requirement for stock trading equivalent to 5 percent of open positions, and shortening the settlement time for share trades from three days to two by 2016. The MAS and SGX will also seek feedback on two proposals for the disclosure of short-selling positions. In addition, Singapore is proposing to establish an independent listings advisory committee to vet applications, with the power to impose fines on issuers that breach listing rules. 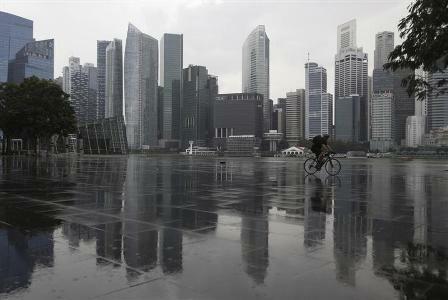 The SGX is the regulator of the city-state’s stock market as well as its commercial operator. The proposals follow a sudden crash in October of penny-stocks Asiasons Capital Limited, Blumont Group, and LionGold Corp which wiped out around $8 billion of market value in just two days after a huge run-up in their share prices. Separately, effective March 3, companies listed on the exchange will be required to notify the SGX when they are in talks that could lead to a takeover, reverse takeover or very substantial acquisition. The consultation period will last for 12 weeks.